I figured I would share my lone Gadget drawing as well! I like it. It's really cute, and you drew her very well. Would it be all right if it was shared on FHC's Twitter, along with the full resolution versions of your other drawings? What's interesting is I've read that Gadget is supposedly the most popular character of the CDRR show. Guess fans like seeing their girls in pink coveralls or something. Are you planning to add color to this in the future? Thanks, Chipster-roo. Feel free to share whatever you wish. Hawkbit: At this time, no. Sometimes I just like to leave these as pencil sketches. The emotions on her face turned out perfectly here and I like the rougher look it has. Usually if I color something I intend to do that from the start. That looks great! The lines are very smooth. 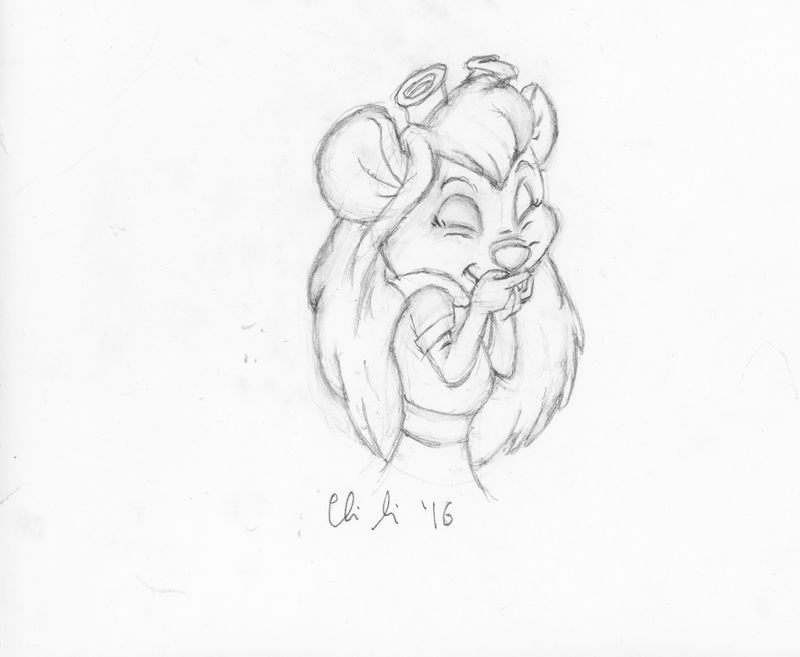 She is from my favorite mice alongside Brisby in "The Secret of NIMH"